A talk with writer/artist Tim Seeley about the pop culture of He-Man nostalgia, and the new He-Man and the Masters of the Universe art book. Writer Tim Seeley, of the Art of He-Man and the Masters of the Universe (now on shelves from Dark Horse Comics). By the Power of Grayskull..
Those words forever echo in the minds through fandom, for over three decades. These words of Prince Adam would begin the transformation from mild-mannered prince of Eternia into the muscle-bound hero, He-Man. Now he and and the Masters of the Universe have an acclaimed 320-page full-color book detailing the art, history, and fantastic insight into this ever-expanding iconic franchise. The hardcover book was made possible through the dedicated work of writer/artist Tim Seeley (Hack/Slash, G.I. Joe vs. Transformers), and his brother Steve Seeley. Together, they assembled most of the content and notations for this tribute. At the 2015 San Diego Comic Con, I met Tim Seeley as we discussed The Art of He-Man and the Masters of the Universe. 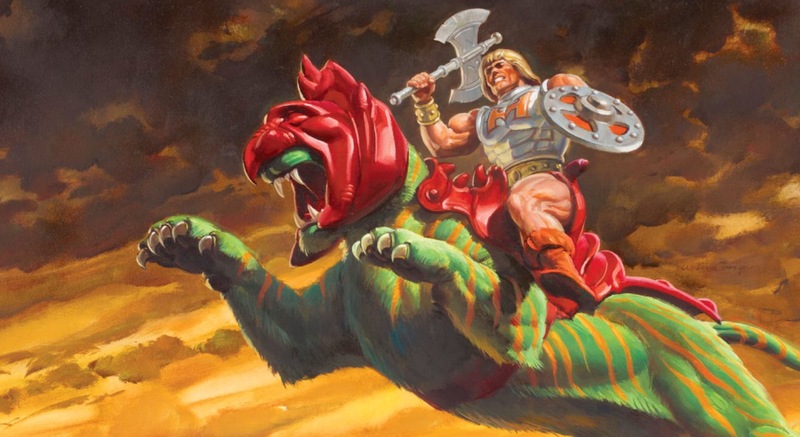 We also chatted a bit about his favorite He-Man toys and thoughts on this Eternian pop-culture powerhouse..
From your perspective, tell us about the Art of He-Man and the Masters of the Universe book, and how you got involved? Tim Seeley: I’ve worked for Dark Horse for a number of years, on some horror comics, and they got the deal with Mattel to do the mini-comics that were packed with the figures. They knew I was a big fan of MOTU as I talked to my editors and they were sick of me hearing and talking about it,…so when the possibility came up do to an art book, they asked me if I can do it. I was a little busy at the time but I wasn’t going to turn it down. So, what if I work on this with my brother (Steve), who is also an artist and a writer. He and I can get together and be like when we were kids playing with He-Man toys, except we would be writing a book about the art. So, we got together. Mattel had a bunch of art for us to choose from and they also asked us if there was anything that we thought should be in the book. We picked up a bunch of art and sent it to them. With a group of fans, who curated and preserved MOTU art, called the Power and Honor Foundation and we worked with them to get some of the art. They helped us write some of the sections of the book that were there areas of expertise and in the end we put together this amazing collection of MOTU art covering the toys, the packaging, the cartoon, the comics, the movie, the magazine, and some weird products and cool into one big, massive tome. Tell us about your own connection to He-Man and the Masters of the Universe. How long you have been a fan? Tim Seeley: So, I grew up in the country. I didn’t have a lot of neighbors when I was a kid. When I was five years old, my grandma got me the He-Man and Battle Cat set. For some reason it clicked with me on the box art, with a sort of lava spewing out of a volcano and some barbarian dude with a giant tiger, and I liked tigers as a kid. And it was the perfect thing for me, and I begged my parents to buy me the toys. The comic that came with the toy was the first comic I ever read and loved it so many times it just fell apart and it put me on the path of comics after that. The cartoon came about 6 months after I got that toy..and it was such a part of me and my brothers playtime. As we were little kids in the country with not a lot of neighbor kids, the collecting of the MOTU of the toys and playing with them, the comics, and cartoon where a huge part of our childhood. When I was 13 as 13-year-olds are, I sold my MOTU toys at a rummage sale for $30, all of them. I used the money so I can hang out with my friends at a Brewers game or something. As a 20-year-old I realized, o-crap I miss my He-Man guys! So at 20, I started to collect them again. Between 20-35 years I collected the figures. I had mostly everything except for some European exclusives. But, I have lots of He-Man guys, lots of knock-offs, almost all the She-Ra figures, and that became my passion. I decided I needed a hobby, as He-Man became my hobby. Which MOTU figures are your personal favorites? Tim Seeley: Teela is my favorite. As I a kid, I had weird crush on that figure. And then, Faker, the blue He-Man. For some reason on the color scheme of that toy, me and my brother just loved it. To this day we had this weird affection for that combination of orange and blue..just from that toy. Dragon Blast Skeletor, as a kid I loved with the squirting. Sy-Clone was also a favorite as a kid..really cool. The thing is when we were kids, as my parents were nice and bought us all these toys. What we would do is we would try and split them up into factions. We would try for the entire line, but with three brothers. For example, I get King Hiss, you get Tongue Lasher, you get Rattler, and cover all the Snake Men this way. That was a big deal in my house. In putting together this book, was there anything in particular that surprised or found especially interesting you in discovery? Tim Seeley: Well, as me and my brother discovered the internet in 1996 or whatever..we already begun collecting information for years..with pictures, anything we could find, we have putting on our discs and hard drives for the past 15-20 years almost. So most of the you’re stuff familiar with, a lot of it on the account of the popular website He-Man.org run by Val Staples, and Emiliano Santalucia who runs the Power and Honor Foundation..we knew a lot of stuff from that. Mostly the fun things we have not seen that were surprises to us were the original marking documents that Mattel had done and they had. It was really entertaining to see how they came up with the boys toy line, and what they thought would make a good boys toy line, which was pretty amazing. And also, a segment of the MOTU movie script which was really violent, and had all these notes from the executives that was like..no, it’s a kids show, no severed heads.” We love that stuff and it was something we never seen and that was something Mattel had.. and it was great to just see the screenwriters trying to get away with anything they could and Mattel would be like no, we need to sell these to 10-year-olds..not give them terrible nightmares. Is any of that in book? Tim Seeley: Oh yeah, those pages are in the book..the original marking documents and the script page. Yes! Are there any favorite artists of He-Man your favorite in this book, past and present? Tim Seeley: Earl Norem is my favorite past Universe artist. Earl Norem did all the posters that came with the magazine, he recently passed away but he had a long career in illustration. 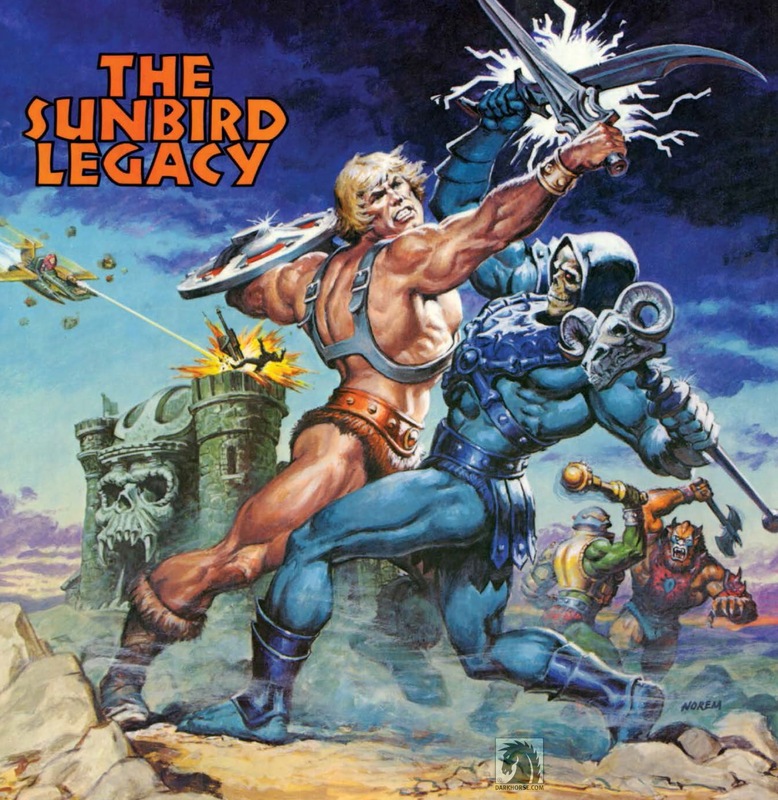 When he took on He-Man he became one of the defining artists on it. William George was also the painter and did a lot of the original packaging art, beautiful stuff. Whenever I saw He-Man, it was his packaging art. Alfredo Alcala drew the original mini-comics, continued to draw some of the main comics, an amazing artist who worked on Conan, was from the Philippines. With fantastic stuff, beautiful art; he really defined what I choose as my art style to this day. After so many decades of He-Man being a part of pop culture, what is about He-Man and the world of Eternia do you feel kept such a large fan base for so long? Tim Seeley: My theory is that is that the toys came first. It was all about the toys, and the selling of the toys and the toys looked cool. They didn’t need a justification. This guy is called Blast Attack and he blows apart, there ya go..that’s the story. And over time, people added to the mythos and there is different conflicted origins for the characters. But the thing is the toys are so flexible that you can add your own story to it. You can choose what to go with one story, any iteration with them could be a different take on the characters.. It’s the flexibility of the figures that I think is very inviting to fans. You can have a favorite character because they are cool. In your head they can have a different story that was in the mini-comic, or the cartoon, or in the DC comic, it didn’t matter. Zodac the Cosmic Enforcer.. he was a bad guy in some iterations. He was a watcher in the distance for some. It didn’t matter. He just looked cool. So, I think that idea allowed MOTU to be flexible, to able to change to fit and fit the audience. Also, to be very inviting and allow the audience to come in and add their own tale to it. So what’s next from Eternia for you? Will there be more MOTU projects for you coming? Tim Seeley: Dark horse is doing an edition, collecting all the mini-comics (from the toys) with the entire history of the Masters of the Universe, which is about 1000 pages. It comes out in November. I have an interviews in that, as I am working on it. It is a great book, with Val Staples (He-Man.org) who is putting that together..beautiful. For the future, I got to do my Masters of the Universe thing. I was certainly well to write for it at some point with part of my interaction of this as a fan. I feel good about not circumposing my will on it. But if a comic came up, I would certainly like to do a cover or draw an issue. I’m just happy I got to do this art book, and the mini-comics. Now I get to watch the next generation enjoy the Masters of the Universe like I did. 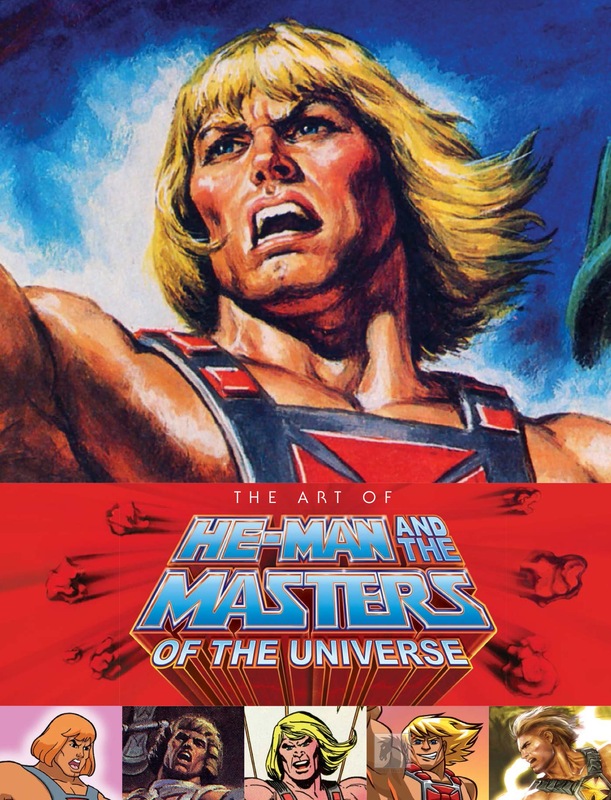 The Art of He-Man and the Masters of the Universe is out in stores now in hardcover (released in mid-spring) Look for it at all the great comic book shops and retail book stores in your area or online. Any ten year old who would have terrible nightmares from watching a good ol’ gory fantasy film didn’t deserve to play with hypermasculine plastic toys. Let those kids go play with My Little Ponies or Wuzzles.